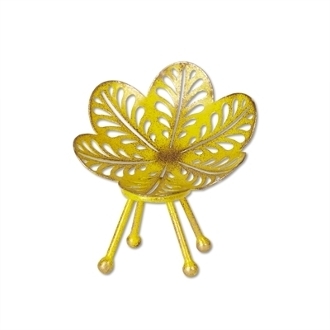 Yellow Flower Chair for Miniature Fairy Gypsy Gardens. This beautiful flower-shaped chair designed by Genevieve Gail is too cute to pass up. The detailed metalwork and hints of golden shimmer make it truly unique.